On the other hand we had 6 no spend days so I'm right on track with my goal of 12. We also finally got all of our medical bills, and we only have $130 left to pay it off in full. I think it's very doable until the end of the month, especially because I've been working quite a bit lately (just to keep my mind off things). Overall I'm pretty pleased with how we are doing considering the circumstances and some extra expenses. I don't know if we'd be able to stay within a budget overall this month but I will surely try to do my best! And how are you doing with your budget this month? Not so good :( I made a few purchases too but needed ones to go along with all the renos. I bought new bath mats (on sale for $5 each), a new shower curtain on sale for $10, some new dishcloths, some magazines for my daughter's 20 trip to Australia (she's leaving TODAY! ), and a couple of long runners to go over the new bamboo floors. Nothing frivolous. But now I've left myself with very little to get through to the end of the month! Silly me! I didn't think that one through. It sounds like you're doing really good but the main thing that counts is that you're pretty pleased with how you're doing. As long as that is the case then you are rockin it! Sounds like you have a challenge ahead of you! But if anyone is up for it, I bet you are! :) I'm having a great month so far! Made extra income which allowed for some "extras"! Desperately needed new jeans for Morgan and some spending money for Hubby & me! ;) Good luck over the rest of the month, Lena!! If anybody can do it, you can! I have been doing good with mine but having to put blinders on to all the amazing sales this month:( Keep up the good work! If anyone is equal to the challenge, you are! 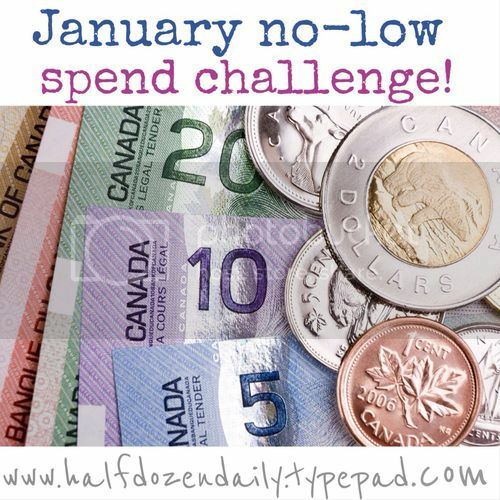 Challenge going okay for me so far but I am only working with my allowance, not the whole family budget! Keep up the good work!!! I have had some family medical emergencies this month which have trumped all spending (or no-spending) plans. However, we're still doing well on the spending we can control. I totally understand your situation. Definitely haven't been 'no spend'. I am so glad to see you posting again. Have been praying for you!